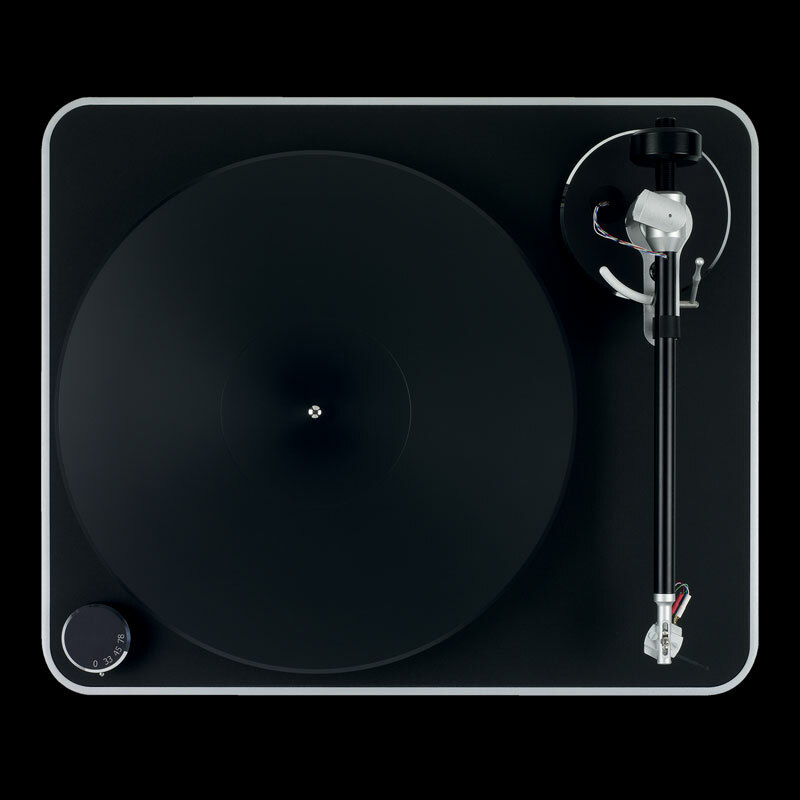 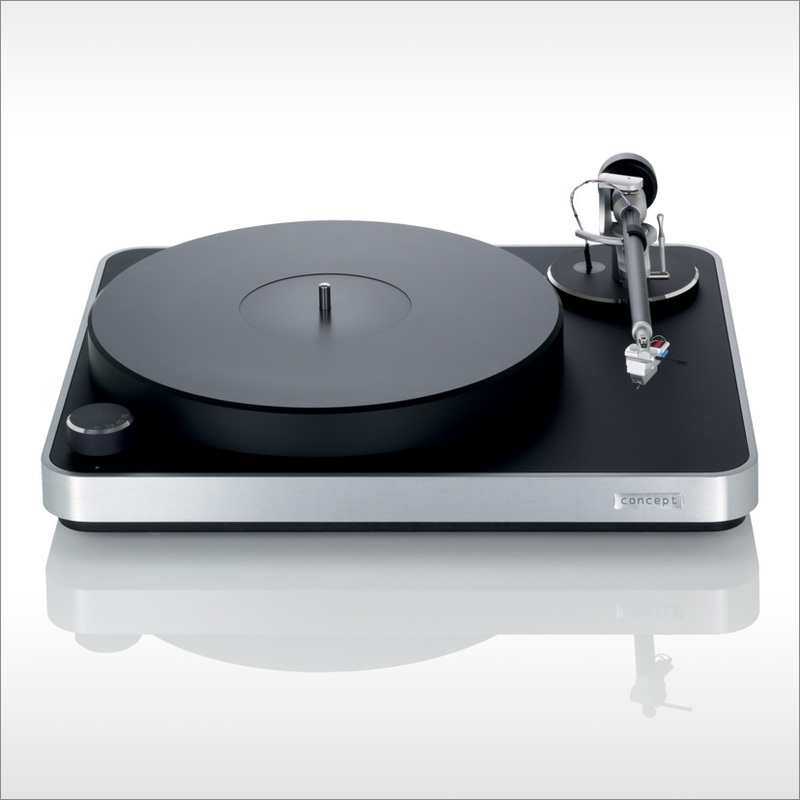 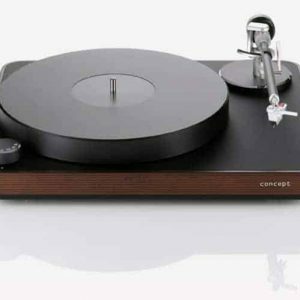 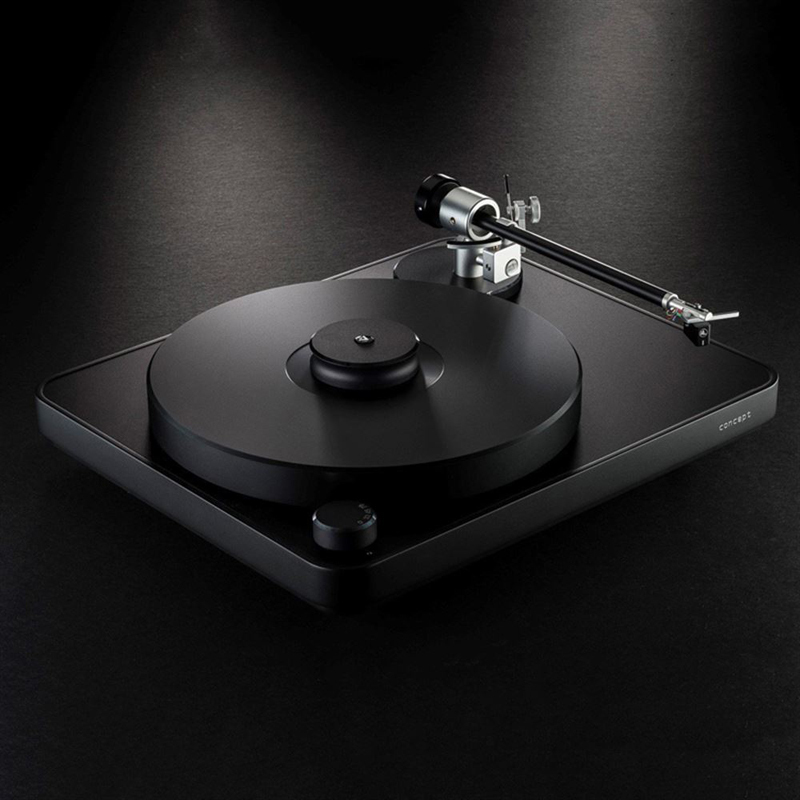 The Concept turntable sets a new standard in turntable manufacturing. Precision German engineering combined with the latest technology and timeless design signal a new era in analog playback. 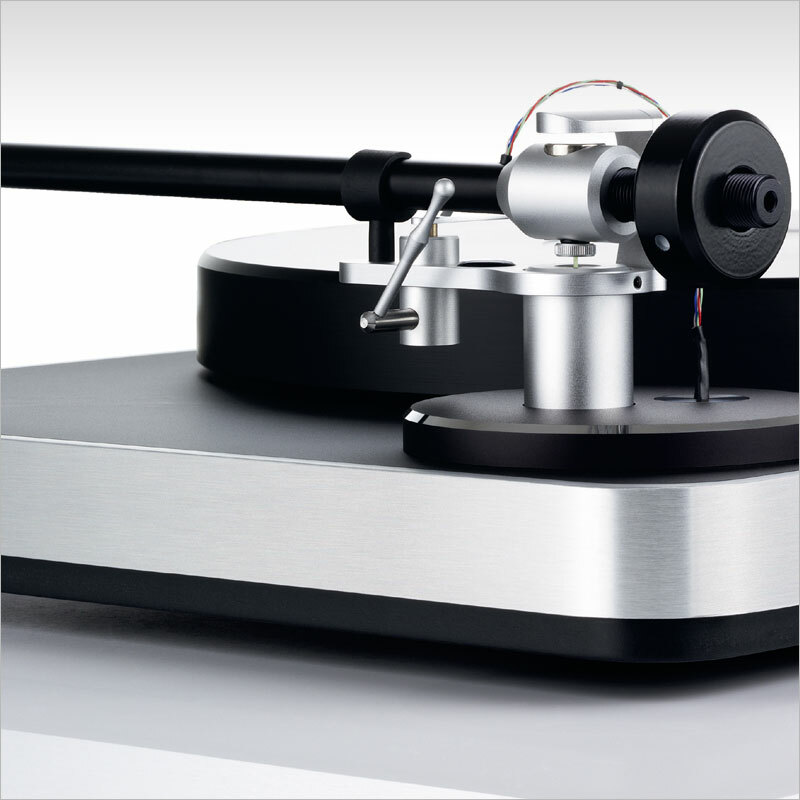 The Concept is equipped with the innovative Concept tonearm, which features a friction-free magnetic bearing technology. 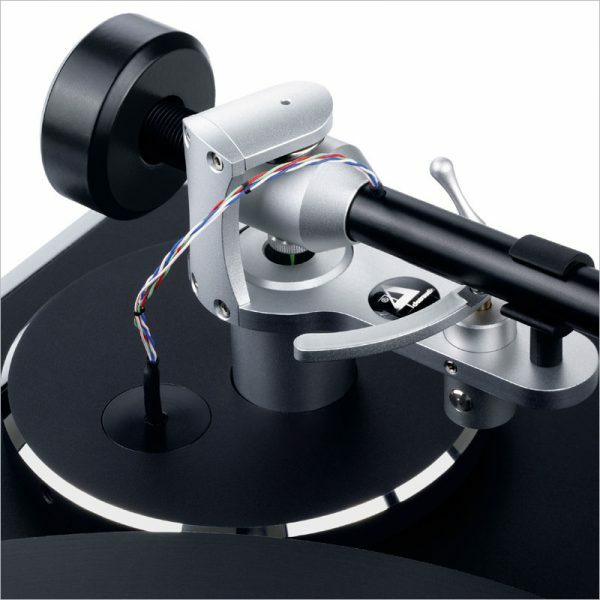 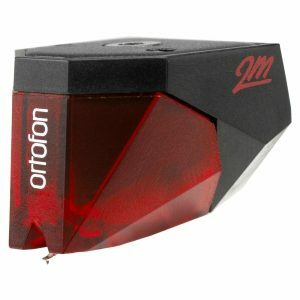 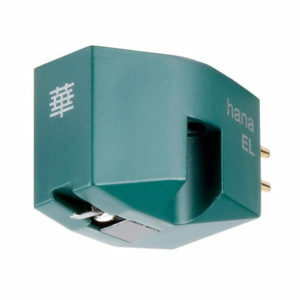 A high-quality Clearaudio moving magnet (Concept MM) or moving coil (Concept MC) cartridge can be pre-mounted and factory-adjusted to complete this setup. 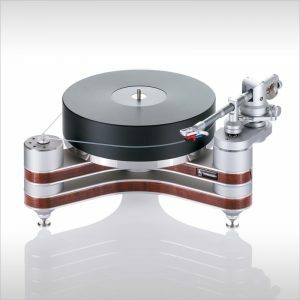 The Concept is belt-driven by a low-noise, decoupled DC motor built into the resonant-optimized plinth, “… resulting in an attractive, small-footprint design that doesn’t require the buyer to find a place for an outboard motor—or even a motor placed in a hole in the plinth!” (Michael Fremer, Stereophile, June 2011). 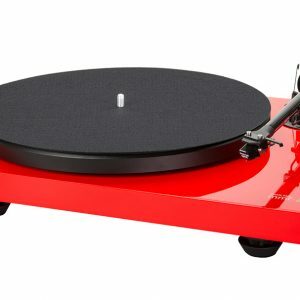 The platter is made of 30mm-thick polyoxymethylene (POM), an engineering thermoplastic used in precision parts that require high stiffness, low friction, and excellent dimensional stability. 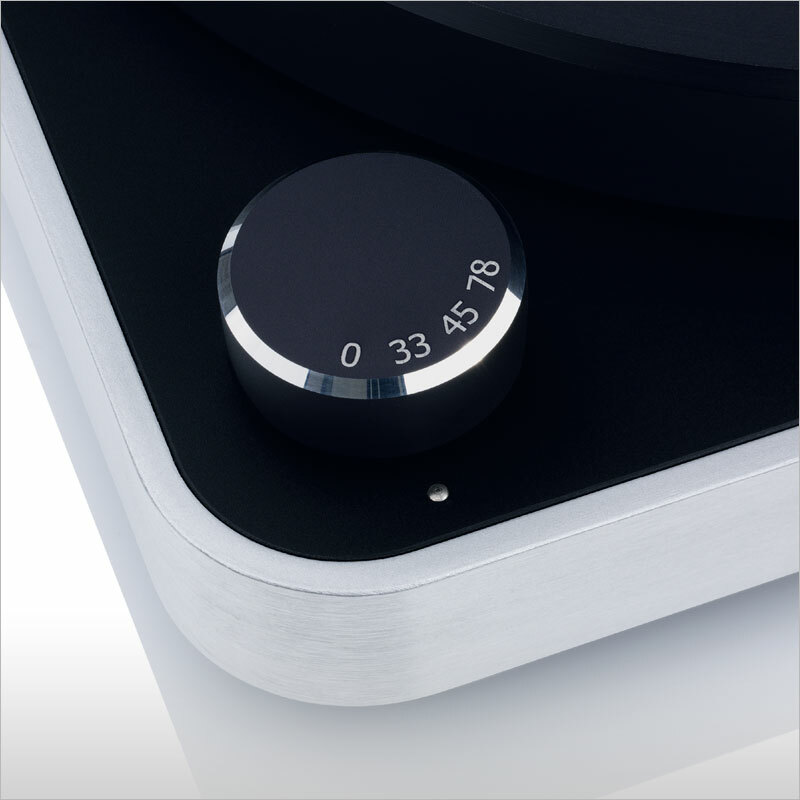 The Concept plays at three speeds – 33rpm, 45rpm, and 78rpm – selectable by Electronic Speed Control knob.